The Mormon Pioneer National Historic Trail was established in 1978 through an act of congress, and is considered one of our premier Emigrant/Overland Trails. It begins in Nauvoo, Illinois, and for some 1300 miles west, it passes through Iowa, Nebraska, Wyoming, then into Utah, to end on the western slope of the Wasatch Range in the Great Basin at “This is the Place,” Salt Lake City. 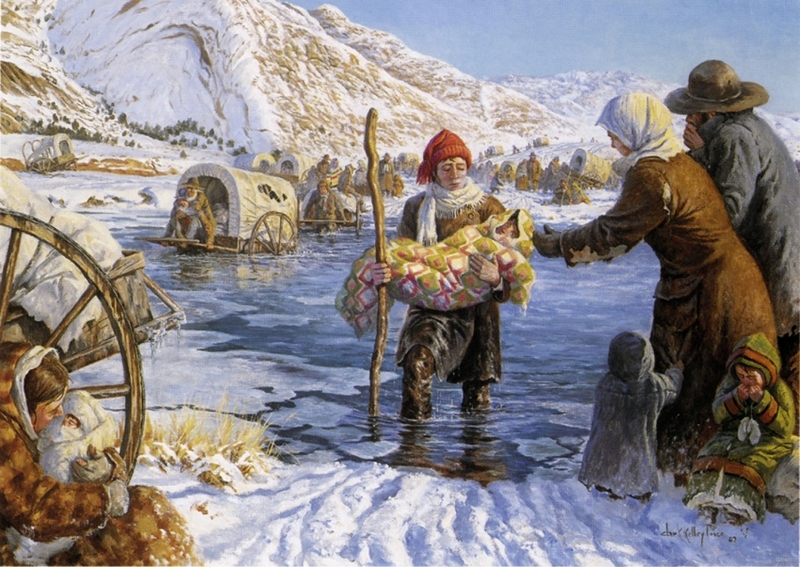 From the 1840s through the 1860s, 70,000 men, women, and children endured the hardships of the Mormon Trail. For them, it proved a journey of toil and sacrifice, of triumph and tragedy, and for many (still unknown to this day)–death. 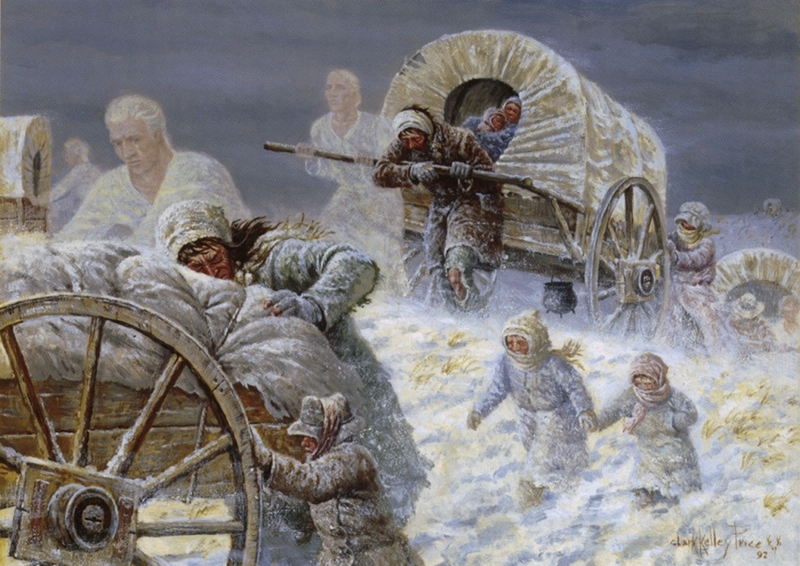 In our minds, the Mormon Trail elicits an incredibly fascinating image of glory and mystique. 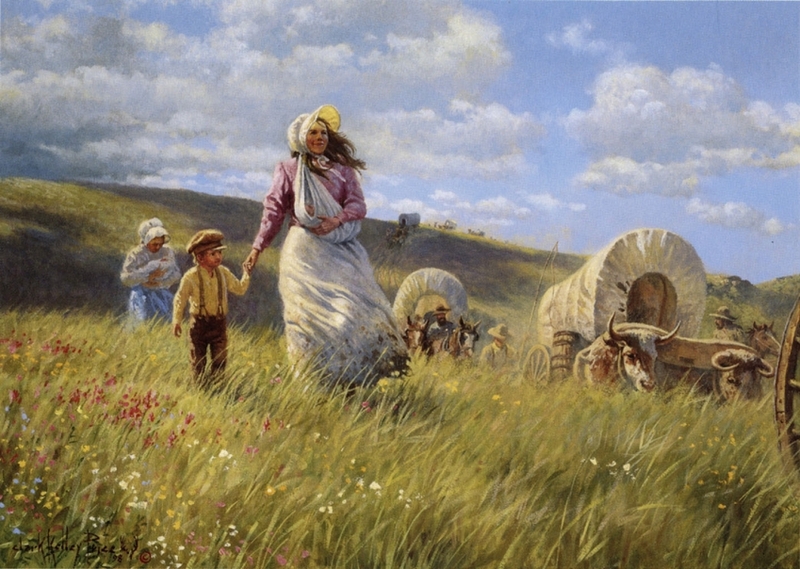 Indeed, there now exists a special mythology surrounding the Mormon Pioneers. In 2014, as Nimblewill trekked the Oregon Trail, he picked up the Mormon Trail, where it joins the Great Platte River Road near Fort Kearny, Nebraska. From there, he followed the loosely combined tracks of the Oregon, California, Pony Express–and the Mormon Trail[s] to Fort Bridger, Wyoming. This summer, as Nimblewill trekked the westernmost remainder of the Mormon Trail, from Fort Bridger to Salt Lake City, he enjoyed the company of his dear friend and fellow intrepid, Bart Smith. Confusing? Sure! Because, and as circumstance would have it, Nimblewill‘s journey o’er the Mormon Trail is a puzzle, pieced together as separate segments, from different times. And so, to finish his Mormon Trail Odyssey, he started at Nauvoo, Illinois, from there to close the final gap–to Fort Kearny, Nebraska. Ah, and as always, he’d certainly enjoy your company; won’t you come along! 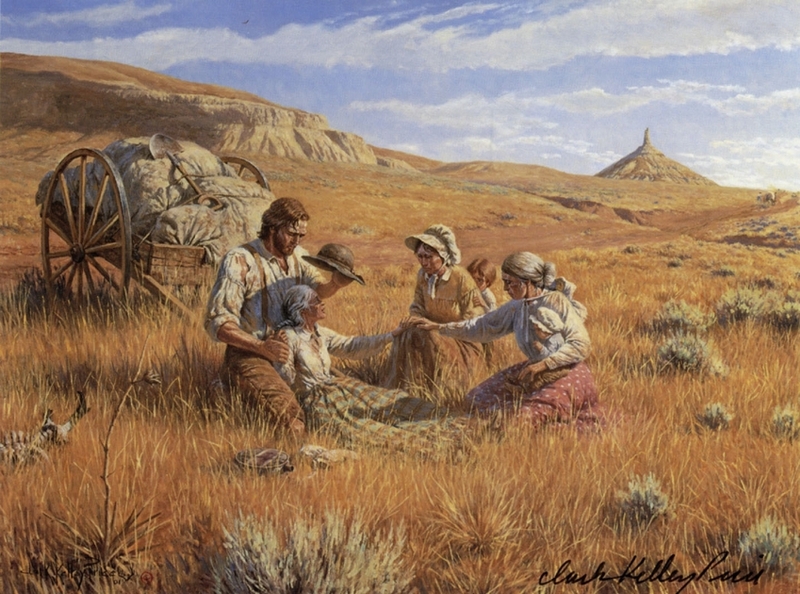 The realities of life on the Mormon Pioneer Trail have been wonderfully depicted by the artwork of Clark Kelley Price. We wish to thank him for his kind permission and are very proud to display six examples of this work below. The artist was born in Idaho Falls, Idaho in 1945. 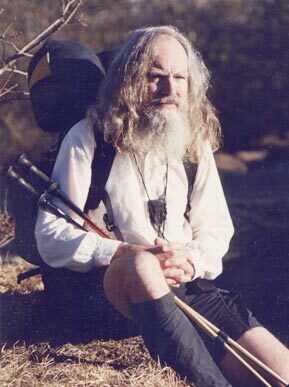 Now living in Star Valley, Wyoming, he has painted full time since 1973. 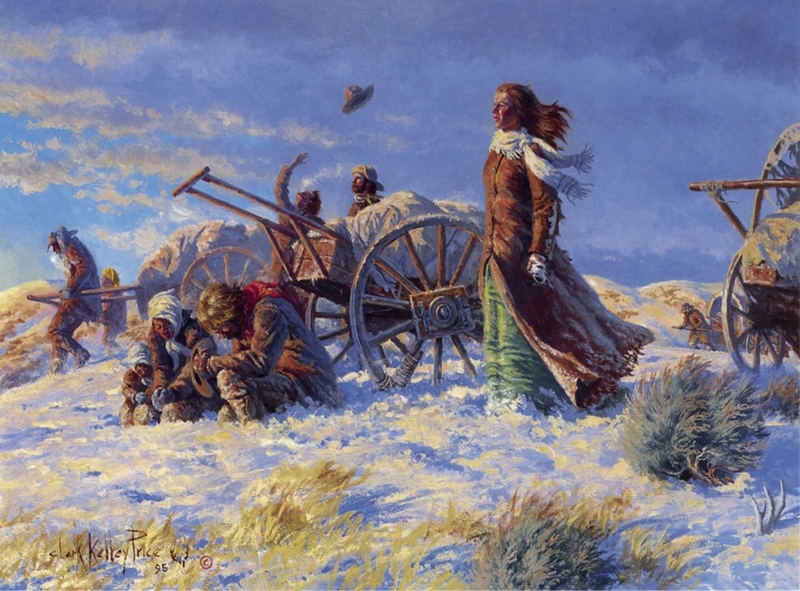 The subject matter of his work ranges from religious to old west. The spiritual impact of his religious paintings makes his work outstanding. As an example, he is a direct descendant of members of the Martin Handcart company and has profound personal feelings for their hardships. 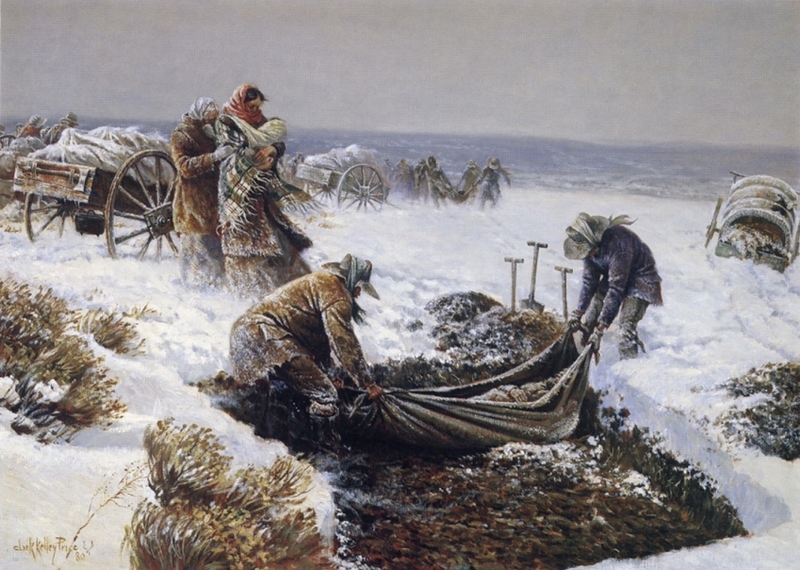 His depiction of such pioneer experiences as burying the dead in icy shallow graves and of having angels assist during time of trial deeply impacts those who view his artwork. To read more about the artist and view more of his work, please be sure to visit theGallery of Kelley Clark Price. Although we have permission to display these examples, all artwork is property of the artist and appears in his online Gallery with copyright 2012.